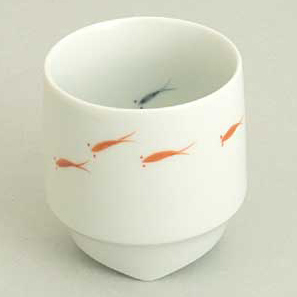 The beauty design of Japanese style sake cup is made by ARITA-YAKI that the pottery (RISO-GAMA) is located at SAGA prefecture. It is designed by SHINJI TERAUCHI. It seems to be able to enjoy the visual and sake.